Two sisters have combined their love of dogs and interior design into a full-time business, expanding from their home to a bespoke Manchester workshop. Two sisters have turned their sideline hobby into a full-time business, moving from their home studio into a bespoke workspace at our Empress Business Centre, Manchester. Christine and Jenny Chau combined their loves of dogs and interior design to launch Charley Chau three years ago, specialising in luxury dog bedding which not only looks great, but is robust and comfortable too. 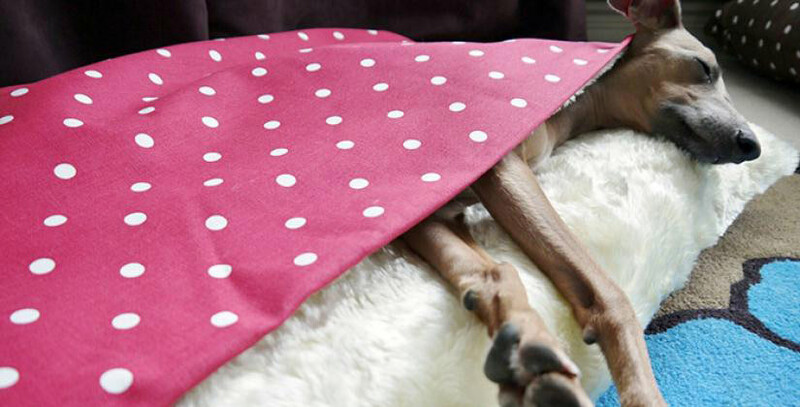 The pair launched their business from home after Christine became fed up of spending money on beds for her Italian Greyhounds that turned out to be uncomfortable or poor quality. She took to the shops, bought some materials and sewed her own. After posting photos on Facebook, she soon became inundated with requests from friends for her to make more, so set about finding a manufacturer. Charley Chau now offers a range of luxury bedding, with many of the products manufactured in the UK. Due to the rapid growth in demand for the high quality items, the sisters recently swapped their home studio for a 1,400 square foot workshop. “The space is ideal for us as we are able to use it very flexibly. We have our own office where we can run the business, as well as space to design new products and storage space for stock,” says Christine. “We needed somewhere which was dog-friendly, as our four dogs come to work with us every day, and when we saw the Empress Business Centre we loved the fact that the main building is a converted brewery, inkeeping with the local heritage. Also a huge factor in making the decision to move here was our centre manager, Ian Walker. He was really lovely to deal with and he was open and upfront about explaining how all the charges worked, so it was totally transparent about what we would be paying. He gave us the confidence to know what we were getting into, despite this being our first commercial premises. The sisters say that the experience of setting up their own business has been a huge learning curve and they have been overwhelmed with how quickly things have taken off. Their products have been sold in more than 20 countries and the firm has deals with Ocado and Not on the High Street, with all products personally tested by their Italian Greyhounds, Charley (who the company is named after), Anna, Tino and Theo. Products can be tested for up to two years before they go into production, to ensure they are up to scratch. “We have both previously always been in employment in very corporate arenas, so we have gone from having full departments to handle things to having to learn all about product design, bookkeeping, admin, marketing and even office design by ourselves!” says Christine. We’ve also recently taken on our first part-time member of staff, which is a huge step. We are really enjoying developing the brand and seeing the business grow really is an amazing experience. Empress Business Centre in Manchester offers a range of workspaces including offices, co-working space, meeting rooms, workshops and storage units. For more information on Empress Business Centre contact Ian Walker via email or telphone on 0161 877 5579.